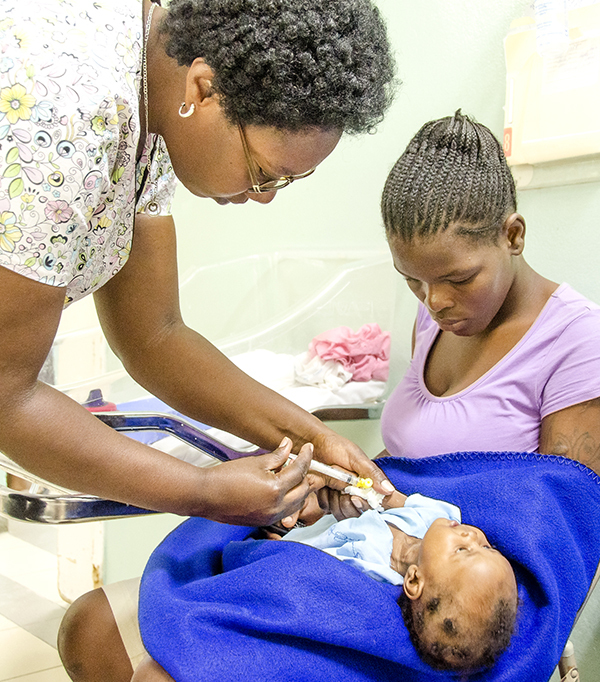 In 2014, year of the 60th anniversary of NPH, St. Damien continued its work at supporting vulnerable families seeking healthcare for children and women with obstetrical conditions. 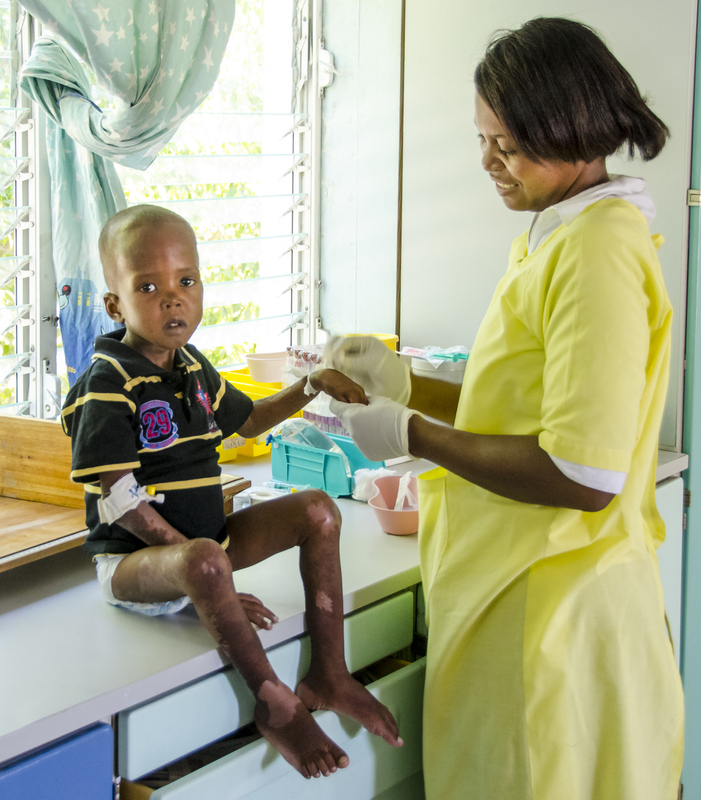 We were able to see 13,789 children in our outpatient clinic, admitted 3,648 inpatients, delivered 1,878 newborns, including those by cesarean sections, treated 298 children with tuberculosis, offered dental care to 5,161 adults and children, treated 65 new cases of pediatric cancer. We have a cohort of 793 women and children infected and exposed to HIV including 550 receiving antiretroviral long-term treatment. Year 2014 brought its load of challenges and accomplishments at the hospital. We succeeded in raising the basic salary of one third of our staff, the less paid employees, to an acceptable level. We organized training sessions for the staff about keeping a welcoming atmosphere for families and also about using good communication among other strategies to always keep an approach of patient centered care. Multiple other training sessions took place in neonatology with Bambinu Gesu hospital from Milan, Italy, with Italian neonatologists coming to support our program as well. 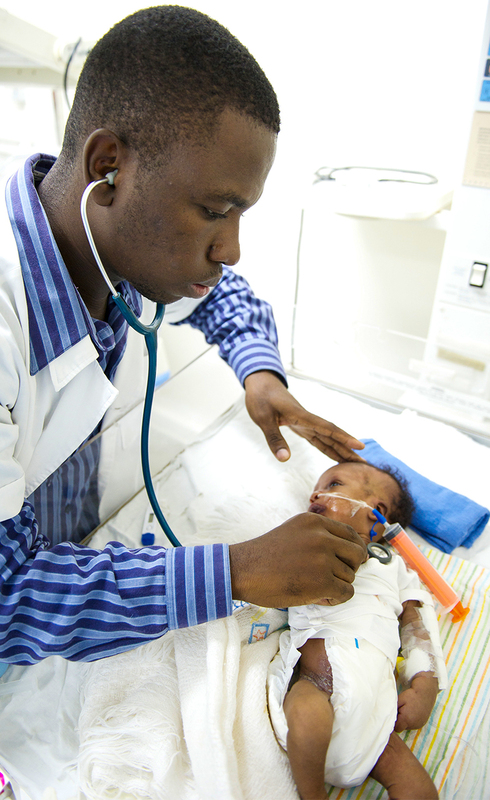 Additionally we received volunteer midwives and pharmacists from Italy, and a neonatologist nurse from the US. We opened a new Kangaroo unit as to help our fragile but stable premature babies to growth naturally before their discharge home. We continued to work with a US network of pediatric programs offering global health experiences to US pediatric residents while our institution benefited from their expertise in subspecialties to improve our work. St. Damien has strengthened our cardiologic program: six children went to Akron Children’s Hospital in Ohio where they received cardiac surgery. We also received regular visits from two pediatric cardiologists from that same hospital. Also, St. Damien will receive a cardiac surgical mission from Gift of Life in March 2015: they will perform cardiac surgery for 10 to 12 children. A team of six staff members from Saint Damien spent six weeks training in Akron to prepare for this activity that will be a great accomplishment for our hospital and for Haiti. All these activities are supported and organized by Gift of Life International, a branch of Rotary Club. We welcomed the second group of six residents in our program of pediatric residency: a way for St. Damien to contribute to the investment in medical education in Haiti where the lack of well-trained medical personnel is one of the main obstacles to healthcare access. Unfortunately since October 2014, we have been experiencing a new surge of cholera cases. Our unit receives up to 100 cases a month. Programs promoting hands hygiene and increased access to potable water are implemented throughout the country to eradicate cholera, but their impact is not yet significant enough to prevent the outbreaks. Our center is one of the rare cholera centers still in function since many closed when the number of cases dropped. Moreover, St. Damien is restructuring its administrative and financial office while encouraging more participation from all department heads in administrative duties. We are also benefitting from a cost study conducted by USAID with the goal of strengthening our administration. We need to move forward as we are experiencing a continuous increase of the cost of our operations while resources are not following the same trend. As a result, we are forced to ask the vulnerable families we serve for more financial contributions to their care, in order to limit the reduction of services next year. We feel blessed that St. Damien is holding strong no matter the challenges, internal and external in the country. On behalf of the staff and of the families we serve, I am thanking you all: volunteers, donors and partners who make this work possible. Our organization is grateful for your invaluable support throughout the years. With your help, we will continue to invest in children, our future. God bless you!